Back in May, the blog Decode Ingress had a guest post called “Golro’s Guide to Glyphing” outlining more about glyph hacking than I’ve ever seen one explain. There’s really nothing inaccurate in that article, but there is a lot of stuff that probably doesn’t deserve discussion with most people. Golro’s not wrong that finger friction is a factor — but I really don’t need to read your ‘fingernail’ recommendation. I’m gonna do what feels best for me and that’s all there is to it. So I decided to write my own no-nonsense guide to glyph hacking. These tips will help you if you want to improve your glyph hacking accuracy and are willing to spend an extra 10 minutes a day outside of your normal Ingress time. That might be because you’re hunting the Translator Badge. Or maybe you just farm a lot and want to make the most of your time. Your motivations are your own, but here’s a ‘real person’ take on this Ingress mini game. Most everyone starts out by providing their own little names for the glyphs. “Destiny” might get remembered as “dragon,” or “hide” instead is ‘boat.’ This works up to a point, but there are many glyphs that will tend to get looked over as ‘squiggly,’ ‘dash,’ or ‘around-the-bottom.’ In the thick of a farming session, your brain cannot mess with these half-measures. The fastest way to learn the Glyph names that I’ve found is with the tool Memrise. I first heard of Memrise when Tim Ferriss did a memory contest with it, but my parents told me they were using it to learn the shaper glyphs. Click here to find the Shaper Glyphs course, and once you’re signed up you can play the memrise game on the web, or with their mobile app. It’s just hard to find this course on the mobile app. I zoomed through this course as I was comfortable with about 2/3 of the glyphs already. But even if you don’t zoom through it, these will help put in place the proper name for each and every glyph. No more than 5 minutes a day needed on Memrise, in my opinion. Knowing the glyph names is half the battle. Practicing the motions is also important. I’ve screwed up just as many glyph hacks from missing dot as I have from not knowing the glyph name. And now that I know all the glyph names, missing dots is my most common reason! Immediately after my 5 minute memrise session, I’d do 5 minutes on Glypher. This app will simulate as many glyph hacks as you can stand, with no need to walk from portal to portal in between. Really great for nailing down the motions. If you need to check on real names you haven’t yet seen in Memrise, Glypher will let you draw the glyph and identify its name too. Once you know some of the glyph names, start saying them out loud while you read the glyphs in the real world. If you don’t know a glyph name when it pops up. Try to avoid the temptation of adding a ‘fake’ name in its place. You’re going to finish all the glyphs in a matter of weeks at the longest, so accept your best guess for now. Later you’ll be hitting all the glyphs almost every time. Unless I desperately need gear, I only glyph hack on level 7 and 8 portals now. I do this because all portals of the same level tend to cycle through the same phrases. I know all the glyphs — but some are more common than others at the same portal level, so why risk coming up on a less common one just because it gets used in L4 portal phrases? I don’t need the L4 power cubes that badly. I recommend you do the same. If you can handle 5 glyphs, glyph only level 8s and maybe level 7s. But if you can only handle 3, stay with the L5 portals but glyph every L5 portal you reach. You’ll see the common phrases over and over again and you’ll find they get easier. Thank you for the recommendation of Memrise, as well as the push to learn the official names. Those have both helped immensely. Since beginning to, nearly exclusively, glyph hack only Level 8 portals, I can completely vouch for your advice of only glyphing the L8 portals. The 3 glyph phrases can actually be confusing to the 5 glyph mind, as there is a limited pool of glyphs that are in the 5 glyph phrases… and a whole bunch of extra ones in 3’s, and even 4’s. Best to focus on the 5’s if one can handle them. Thank you for the advice. 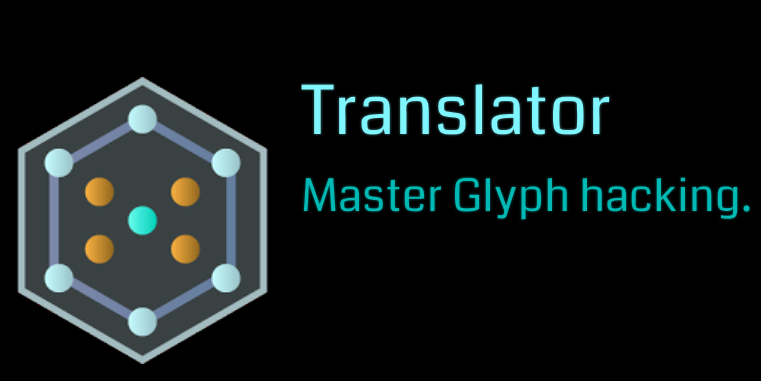 I am a new Ingress player and since going through the Memrise Glyph training on my Android phone yesterday, I feel much more confident. I also used Glypher and MemoGlyph (some). Today’s glyphing in the field was significantly better in every way because of the Memrise training followed by the Glypher practice. I did find the Memrise training to be missing some glyphs. I would love to see the training updated to include those. Even so, I can almost glyph like a pro now and will be a glyph pro Much sooner thanks to following your advice.